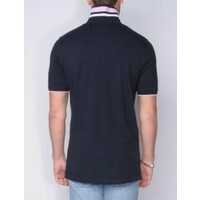 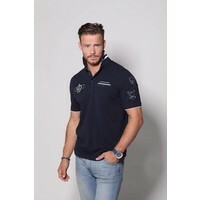 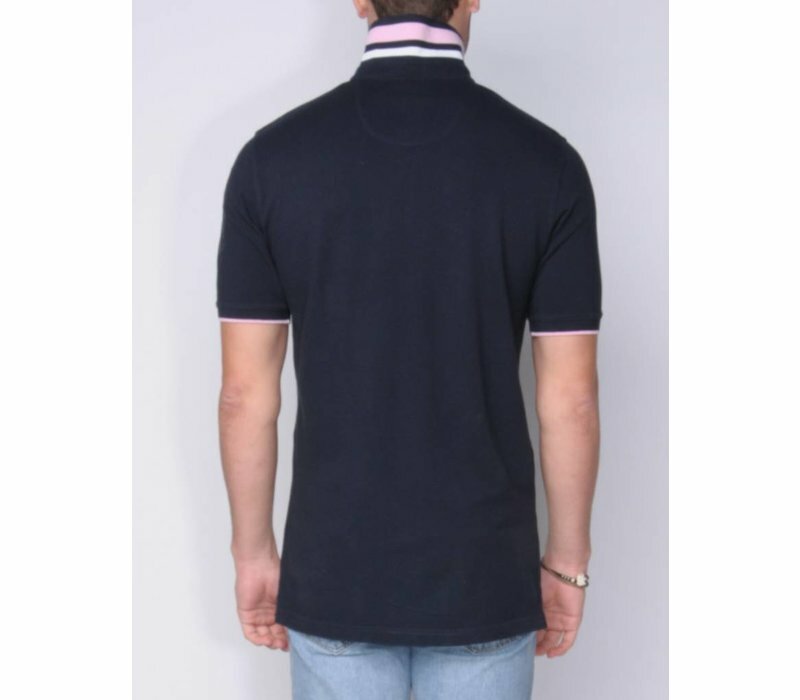 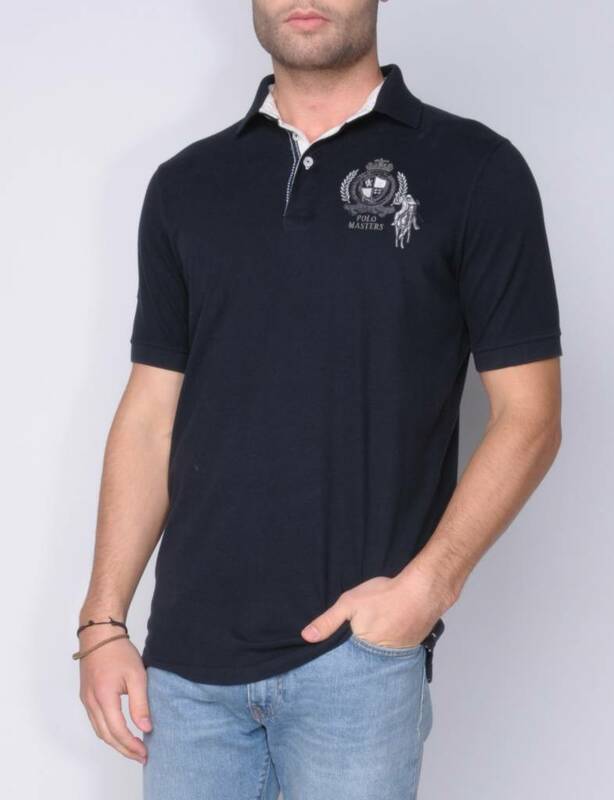 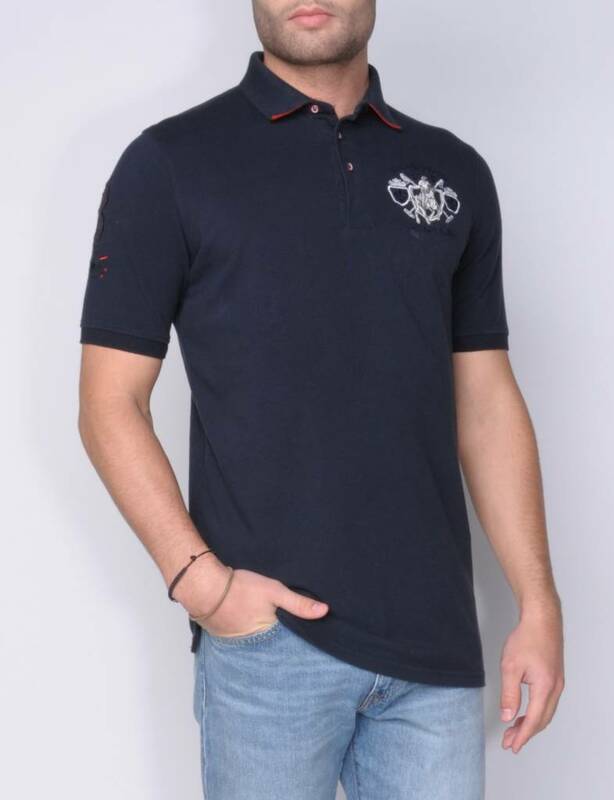 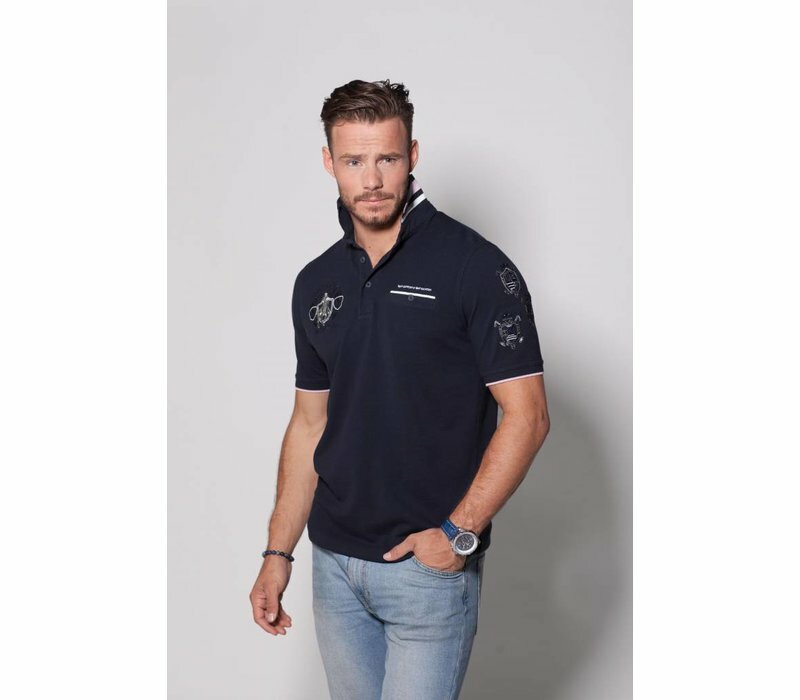 Trendy polo shirt in 100% soft washed pique in the color navy blue. 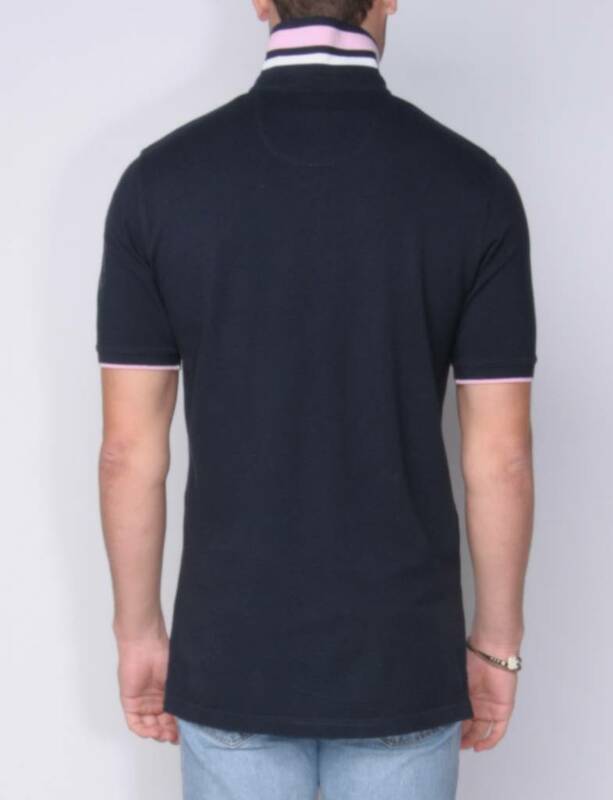 Bottom of the rib collar in bright red. 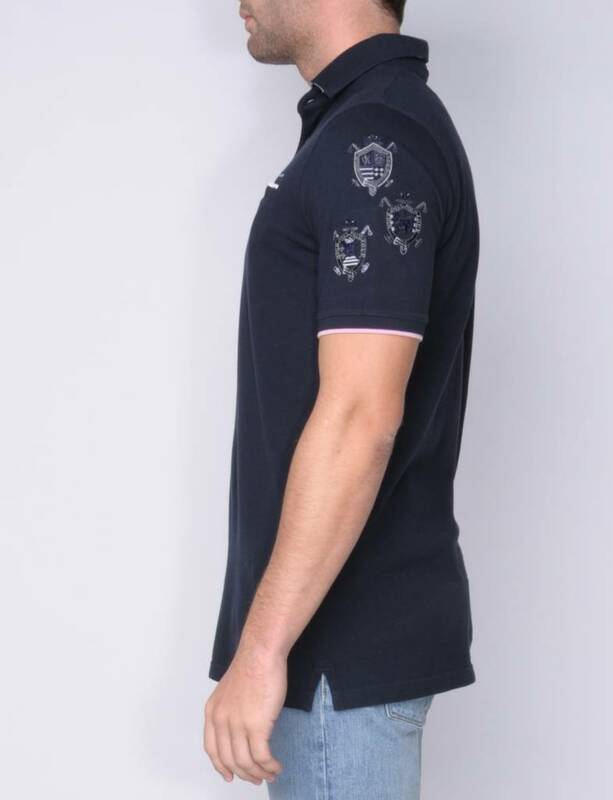 Small button closure, side slits and uniquely designed embroideries on sleeve and front.